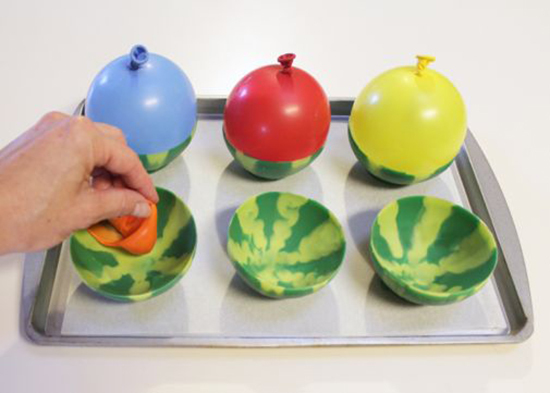 Check out the full tutorial (and see how easy these are to make – you won’t believe it!) at SheKnows. Reposted gratefully with permission from Sandra of Project Denneler, who’s a watermelon master! Check out her waterMAILons and her watermelon BBQ grill. Shop for personalized Watermelon Party paper goods and printables here. 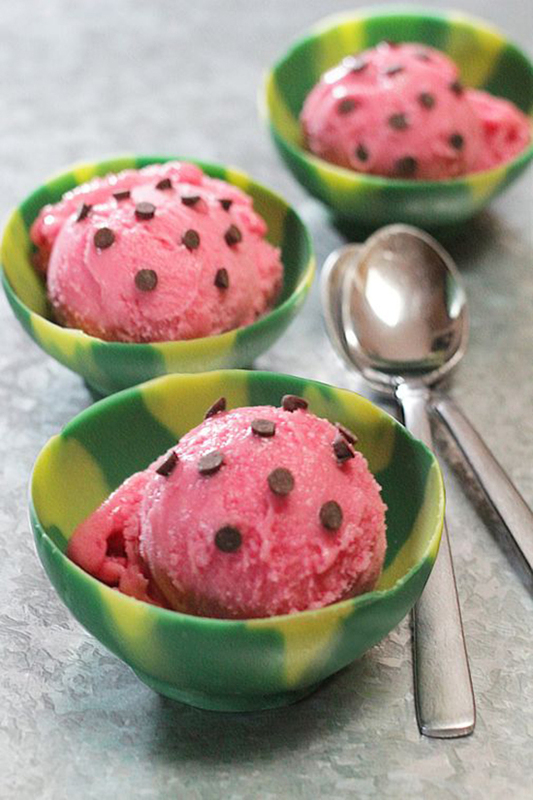 Or, check out more Watermelon Party ideas on Pinterest or here on my blog! Chocolate chip seeds! So cute!